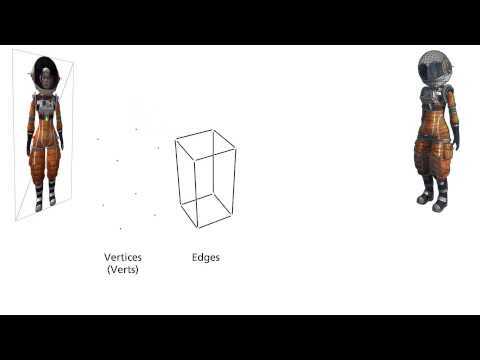 An overview of what a 3D mesh is, how its made up, and how Unity represents them in the 3D world. using 3D or polygonal meshes. of all games made in Unity. that game will use meshes. will be a polygonal mesh. are created from very simple basic elements. A single point is a Vertex. These define a point in 3D space. Between these points lines are drawn. These lines are called Edges. The edges create something called a Polygon. which in Unity will be a triangle. These polygons define the mesh of our object. are not created in Unity. Unity for use in our scenes. See the Mesh Import lesson linked below.